Xander and I love to watch the TV show "Shark Tank"...you know, the show where people pitch their inventions to 5 millionaires to get them to invest in their product. A few weeks ago, we were watching Shark Tank on Hulu, and I was SO intrigued when I saw the founders of Coffee Joulies present their product. Basically, Coffee Joulies are added to your cup of coffee to make it drinkable (cool it down) quickly without losing the potency of the coffee itself. This works thanks to a special material sealed inside the polished stainless steel shell called a "phase change material" that is able to absorb a large amount of energy as it melts at a specific temperature. We use a PCM that melts at 140 degrees Fahrenheit, which we have found to be the perfect temperature for drinking any hot beverage including coffee, tea and hot chocolate. This material is food-based and completely nontoxic. Each Coffee Joulie works with 4 ounces of hot beverage, so toss one in your espresso, two in your double-short vanilla latte, three in your tall drip, four in your vacuum thermos and five in your venti or xl coffee right when it's poured. Since both my husband and I are coffee drinkers, and my husband is always asking for an ice cube in his coffee, then complaining that it tastes "watered down". When trying the coffee with the Joilues the coffee cooled down within a couple of minutes, and in the travel mug stayed warm until it was finished! 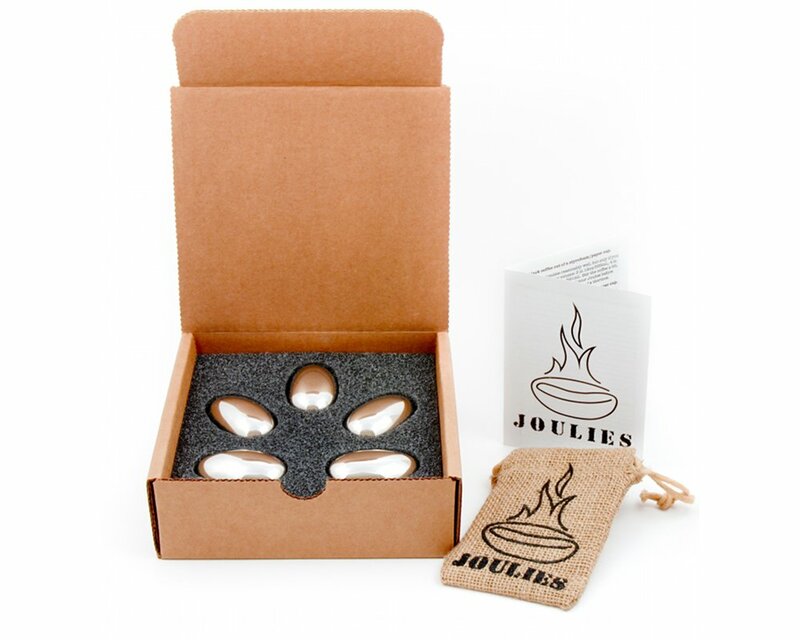 The material sealed inside the Joulie will begin to melt, absorbing energy from your coffee and cooling it down to the right temperature, 140 degrees Fahrenheit, three times faster. When your coffee reaches this temperature the process reverses. The phase change material begins solidifying, releasing the energy it stored earlier back into your coffee, keeping it hot twice as long. 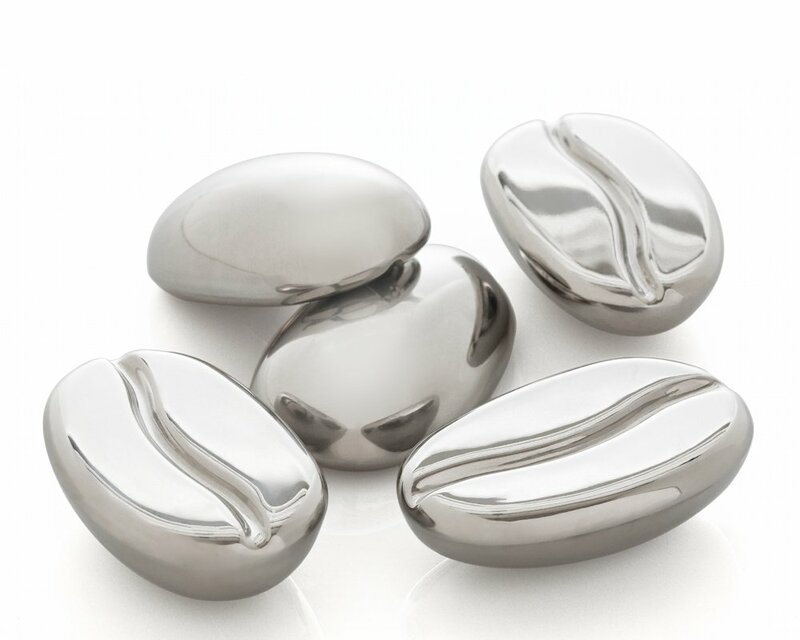 When used in a high-quality vacuum thermos, Coffee Joulies can keep your coffee in the right temperature range for over five hours. Right now, you can purchase a 5 pack of Coffee Joulies here for $47.99 and they come with a travel mug so you are ready to go!